Welcome To Aubrey Briards New Zealand. Thank you for visiting our site. 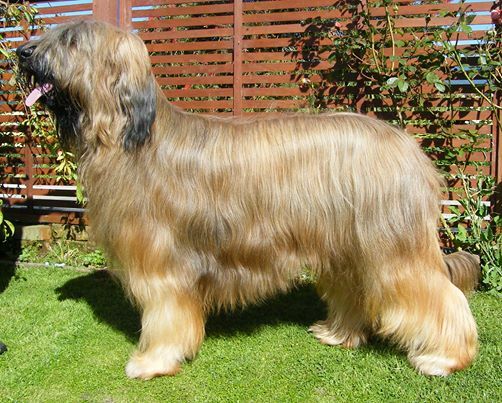 Aubrey Briards was established in 2006 with our first Briard Bodie. Since the day he come home with us we have bred our own line of briards and have a lovely fur family as well as a human family. We enjoy meeting people who love the breed as much as we do. People are very welcome to come visit our home and meet the family. We do show our Briards but due to having started our own human family we are very happy at present to stay at home and enjoy the entire family. We plan to have two litters for 2019 and although we have many people waiting for puppies we will have places for people. Please visit the "litter" page to find out more details. We have two forums on facebook if you would like to enter please look up "Aubrey Briards" or the "Australasain" Briard forum.